When you find that you partied a little too hard and wake up with a nasty hangover, the last thing you probably want to do is eat. And yet, it's one of the best ways to recover and restore all those nutrients you lost last night. From simple breakfasts filled with protein to reliable hangover foods, there are many great recipes for you to try. If you're not in the mood for actual food, we have a few healthy drink options that might be a better fit this morning as well. Forget those "hair of the dog" hangover cures, you're only prolonging the misery. Instead, mix up a simple Virgin Mary. 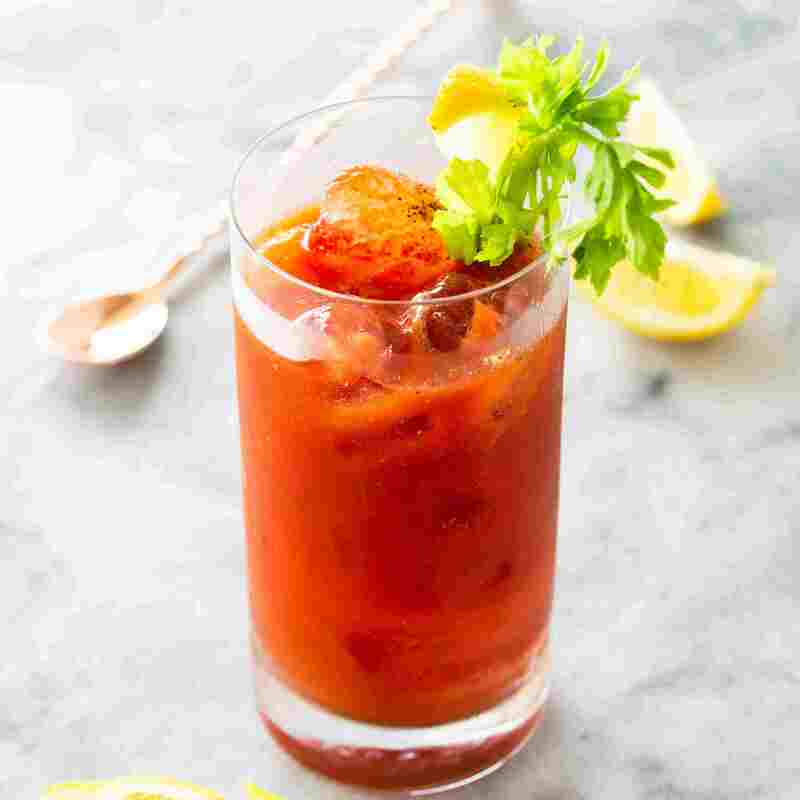 Simply spice up your tomato juice with hot sauce and other guaranteed pick-me-ups and you'll be on your way back to normal. For a quick detox, try a tropical tonic. This simple drink is filled with good-for-you ingredients, including plenty of citrus to clean out your liver and enzymes that can ease your stomach. It's a simple drink of coconut water with apple, pineapple, mint, and citrus. It can easily become a regular cure. No tomato juice or fruit in the fridge? Try a warm cup of ginger tea. The spicy root will help ease a queasy stomach and invigorate your entire body so you can get moving. All you need is fresh ginger, honey, water, and lime juice. Freshly blended smoothies filled with wholesome ingredients are a perfect way to recover from a hangover. A recipe like this blueberry and spinach smoothie is perfect because it's filled with antioxidants and protein to get you moving. It's also pretty tasty. Raw cacao, banana, honey, chia seeds, and spirulina, are packed into this powerful superfood breakfast smoothie. It has all sorts of good stuff to restore your health and can easily become your go-to feel good recipe. If you're looking for a restorative smoothie that also lets you indulge a bit, this peanut butter chocolate protein shake is the recipe you need. It's absolutely delicious and incredibly easy to make with a simple blend of milk, chocolate and peanut butter powders, and old-fashioned oats. A simple, small meal can do wonders for making you feel better. It certainly doesn't get easier than an omelet in a cup. With this recipe, you'll just need to put your ingredients into a mug and toss it in the microwave. A fun twist on a childhood fantasy, grownup green eggs and ham is a great way to start your day. This one-skillet dish is loaded with protein and simply requires sausage or ham, fried eggs, and spinach. Called pytt i panna in Swedish, this breakfast hash is something anyone can toss together. Potatoes add to the hearty breakfast and the eggs are there for extra protein. Best of all, you can use whatever leftover meat you find in the refrigerator. Take your avocado toast to a new level with this simple and healthy recipe. The avocado and egg toast includes a radish, scallions, and a soft-boiled egg served with avocado on slices of sourdough. To give it a nice kick, use a spicy sriracha mayo. Rather than run to the fast food joint down the street, make your own bacon, egg, and cheese muffin at home. It will have far less grease—the last thing your stomach needs right now—and you'll still get to enjoy this favorite hangover food. If you're someone who likes to plan ahead, this is the recipe for you. This bacon and egg breakfast casserole can be prepared before you head out for the night. All you need to do when you wake up is toss it in the oven and a healthy breakfast will be ready in half an hour. Quick and simple, Caribbean oats porridge is an excellent choice for fast nourishment. This recipe can be made with rolled or quick oats and has a nice flavor thanks to cinnamon, nutmeg, and raisins. You can also add any fruit, yogurt, or other delicious toppings you happen to have around. Porridge is just the beginning of the great variety of breakfast bowls you can whip up. Tasty and nutritious options can be devised all sorts of ingredients in your kitchen. Case in point, this super easy and healthy blueberry vanilla breakfast bowl. It uses quinoa as the base, adding milk, fresh blueberries, and vanilla extract. 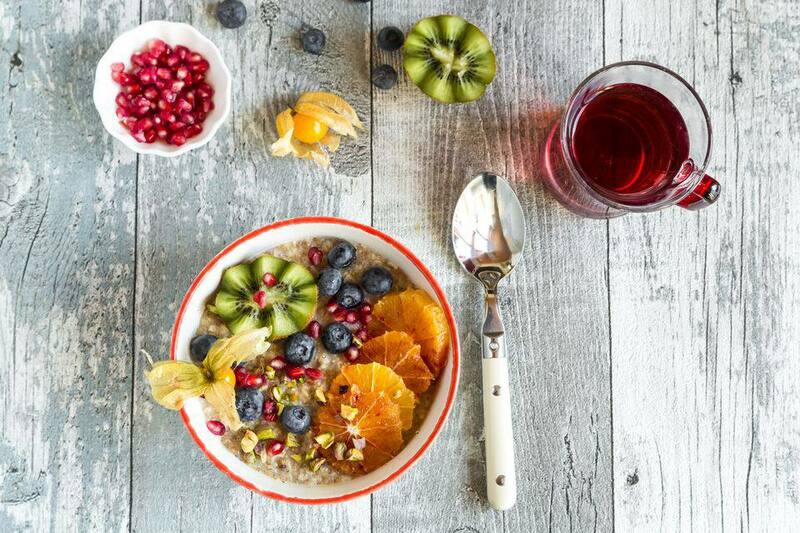 You'll love the warm, inviting flavor of this maple cinnamon breakfast quinoa recipe. To make it even easier, you can use pre-cooked or quick-cooking quinoa. This "supergrain" is filled with all sorts of nutrients that are sure to help your recovery. Another great option is to have some homemade muffins ready for the morning. With a recipe like these apple bacon muffins, you get fruit, meat, and grain in a single bite. They're delicious and simple. There is something to be said about an old-fashioned bran muffin. This recipe has no fancy tricks, it's simply a bran muffin like Grandma used to make. The cinnamon, nutmeg, and molasses give it a great flavor and the wheat bran is a quick, wholesome source of vital nutrients. Spinach is one of the best greens you can eat when you're not feeling your best. It's easy to get down and packed with vitamins and a simple strawberry spinach salad is rather appetizing, even when other foods have you thinking twice about eating. To give this salad an extra dose of vitamin C, cut up an orange to go with the berries. It's really no secret that Eastern European culture is rather fond of their liquor. So, it's also not surprising that some great hangover foods come from the region. From the vodka-loving country of Poland, we have zurek, a Polish ryemeal soup. It's reported to work wonders on the classic symptoms of a hangover, though you'll need to plan ahead. Yet, if it works as well as it's supposed to, it may be the magic remedy you've been looking for all along. Another classic hangover food is a Czech garlic soup, called česnečka. This hearty recipe is a quick one to whip up and it's long been a reliable after-party food. The hearty broth is filled with potatoes and the garlic and onions offer an instant pick-me-up to all your senses.